Everything you wanted to know about commodity trading. IronFX Review: Can You Trust Them? WARNING: We do not recommend IronFX. This is due to a history of fines and sanctions in various countries. Please consider one of the alternative CFD brokers below. 90/100 Start TradingCFD Service. 80.6% lose money. 72% of clients lose money. Capital at risk. PLEASE NOTE: At present, we do not recommend IronFX (See Why). Please consider one of our other regulated brokers. IronFX is an online broker that provides a platform for Contracts for Difference (CFDs) trading. CFDs are derivative securities that allow customers to gain exposure to the price of financial instruments without actually holding the instruments in their accounts. IronFX offers over 200 tradable CFD instruments on forex, spot metals, spot indices, spot commodities, futures, shares and cryptocurrencies. WebTrader4: A web-based platform developed in-house for trading multiple classes of assets. MetaTrader4 (MT4): An industry-standard platform with advanced charting features. Personal Multi-Account Manager (PMAM): A platform for money managers that enables them to manage and trade on multiple MT4 accounts simultaneously. Please remember, losses can exceed deposits. CFD trading is for experienced traders. This IronFX review will cover all of the important details about the broker and discuss its major advantages and disadvantages. IronFX was founded in Limassol, Cyprus in December 2010 when it obtained an authorization by the Cyprus Securities and Exchange Commission (CySEC). The broker expanded to Australia in 2013 where its subsidiary received a license from the Australian Securities and Investment Commission (ASIC). The firm later opened an office in the United Kingdom where it fell under the regulatory auspices of the Financial Conduct Authority (FCA). In 2014, IronFX expanded its presence in London when it opened another office in the financial hub. IronFX also opened an office in South Africa in 2014 and became authorized and regulated by the Financial Services Board (FSB). IronFX is a trade name of Notesco Financial Services Limited (formerly IronFX Global Ltd). Notesco Financial Services Limited is authorized and regulated by Cyprus Securities and Exchange Commission (CySEC License no. 125/10). IronFX provides customers dedicated 24/5 customer support to retail and institutional customers from over 180 countries in Europe, Asia, the Middle East, Africa and Latin America. The broker provides customer support in over 30 different languages. Traders can contact IronFX customer service by phone, email, fax or live chat. Traders can view the IronFX website in English, Spanish, German, Italian, Arabic, Korean, Portuguese, Slovak, Czech, French, Chines, Polish, Russian and Japanese. IMPORTANT: CFDs are not available in the USA due to local regulation, and this regulated CFD broker does not accept US citizens or US residents as clients. Customer support is available in 30 languages. IronFX is regulated in multiple jurisdictions including the Financial Conduct Authority (FCA), Cyprus Securities Exchange (CySEC) and Australian Securities and Investment Commission (ASIC). The Markets in Financial Directive (MiFID) allows the company to passport its services and operate as a regulated entity throughout the European Union. Following the issuance of financial penalties on IronFX for non-compliance relating to the withdrawal of client funds and bonus promotions, the firm is subject to supervisory checks to ensure it implements the corrective measures needed to uphold full trader protection. Financial Conduct Authority (FCA) Austria, Belgium, Bulgaria, Croatia, Czech Republic, Denmark, Estonia, Finland, France, Germany, Gibraltar, Greece, Hungary, Iceland, Ireland, Italy, Latvia, Liechtenstein, Lithuania, Luxembourg, Malta, The Netherlands, Norway, Poland, Portugal, Romania, Slovakia, Slovenia, Spain, Sweden, UK. All client funds are held in a segregated client bank account Financial Services Compensation Scheme (FSCS) may cover up to £50,000 if IronFX fails. Cyprus Securities Exchange (CySEC) Andorra, Argentina, Austria, Bahrain, Belgium, Bulgaria, Chile, Croatia, Cyprus, Czech Republic, Denmark, Estonia, Finland, France, Gibraltar, Greece, Hungary, Iceland, Isle of Man, Israel, Italy, Kuwait, Latvia, Liechenstein, Lithuania, Luxembourg, Malaysia, Malta, Mexico, Monaco, The Netherlands, Norway, Oman, Poland, Portugal, Qatar, Romania, Saudi Arabia, Slovakia, Slovenia, Spain, South Africa, Sweden, Switzerland, United Arab Emirates and Uruguay. A provision of services is also offered to a number of countries. All client funds are held in a segregated client bank account The Investor Compensation Fund may provide up to €20,000 if IronFX fails. The UK’s Financial Conduct Agency (FCA) regulates IronFX’s activities in the UK. The FCA is widely respected as a leader in financial regulation. In addition, the UK scores highly in Transparency International's rankings of countries based on their corruption perceptions index meaning the UK is a pillar of anti-corruption. IronFX’s customers in the UK are protected by the UK based scheme Financial Services Compensation Scheme (FSCS), which was established to protect consumers when authorized financial services firms fail. FSCS pays compensation up to £50k to customers in the UK if IronFX is unable to pay. The Cyprus Securities and Exchange Commission (CySEC) is the financial regulatory agency of Cyprus. Cyprus is a European Union member and is a financial services industry hub. Customers in countries regulated by CySEC are eligible for compensation of up to €20,000 if IronFX fails. IronFX is a trade name of Notesco Financial Services Limited (formerly IronFX Global Ltd). Notesco Financial Services Limited is authorized and regulated by Cyprus Securities and Exchange Commission (CySEC License no. 125/10). The Australian Securities and Investments Commission (ASIC) covers IronFX’s activities in Australia, New Zealand and South Africa. ASIC’s oversight of IronFX means that client money is held in a trust and completely separate from IronFX’s own money. Unlike other jurisdictions, however, if you are based in Australia or South Africa, there is no additional compensation scheme in place to cover your deposit. That doesn’t mean it isn’t safe to deposit with IronFX if you’re in Australia or South Africa. Rather, you are offered only the legal protection afforded by the Australian legal system. That being said, money held in trust in Australia is highly regulated and covered by the Corporations Act. The CEO of IronFX is Mr. Markos Andreas Kashiouris. He founded IronFX Global Limited in 2010 and has been its Chief Executive Officer since March 2014. 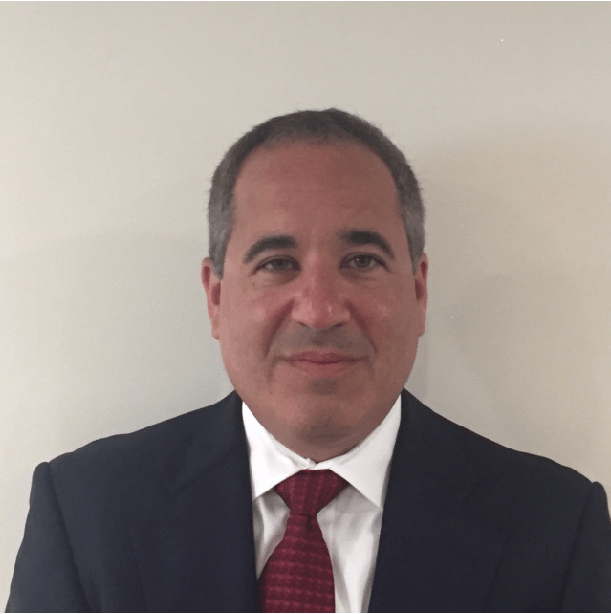 Mr. Kashiouris also co-owns IBIH Limited and serves as an Executive Director of Agua Terra Limited. He previously served as the latter’s Chief Executive Officer. He previously was a broker for JP Morgan and Commerzbank Securities in London. He holds a Bachelor's Degree from the University of Manchester and a Master's Degree from the Victoria University of Manchester. IronFX offers its customers financial instruments to trade that span seven categories: forex, spot metals, spot indices, spot commodities, futures, shares and cryptocurrencies. IronFX notes that its spreads are applicable under normal trading conditions during day trading sessions. However, there may be instances when market conditions cause spreads to widen beyond the typical average spreads shown below. IronFX offers eight types of live trading accounts for retail traders as well as four types for institutional traders. The number of live trading options seems unnecessarily confusing given that most traders would be well served by the first three options. This review will focus solely on the different types of retail accounts. The main difference between real and STP/ECN accounts is in execution. Real accounts have instant execution that involves the use of re-quotes, while STP/ECN accounts have market execution where no re-quotes are involved. Additionally, IronFX uses a different liquidity provider, which accounts for the difference in spreads. The underlying financial instrument and the type of account determine the IronFX spreads that traders pay. IronFX receives its compensation both through the market bid/ask spread and through commissions depending on the type of account you have. Listing the spreads for each of the eight types of accounts would be lengthy, so traders should consult the Account Spread Comparison section of the IronFX website for more details. Commission Fees: IronFX charges commissions to clients on some types of trades. Please see the account table above. Deposit Fees: IronFX does not charge any fees for deposits. Your respective banks or payment providers, however, might charge you additional fees. When you click on the green “Register” button on the IronFX website, the system asks you to pick your country of origin from a drop-down menu. Before you can trade with IronFX for the first time, you need to answer a few questions. You enter your name, email, country of origin and phone number. IronFX also asks you questions about your financial status and trading experience. You then choose the type of account, your base currency and the leverage with which you want to trade. IronFX then asks you to select a password for your account. After completing this information, traders have to provide IronFX with information to verify their account and then fund their account with a deposit. To pass their identity verification, they need to upload one document for proof of identity and one for proof of address. You can browse and attach these forms or upload them through your mobile device. Bank Wire Depends on the corresponding and intermediary banks. IronFX does not apply any fees. Please see the above account table for minimum deposit amounts and leverage amounts. IronFX traders can withdraw profits made from trading only via bank wire. You can receive your initial deposit via the payment method initially used and then all excess funds (profits) will be sent to your bank account. In order for the above to take effect, you need to apply for a bank withdrawal from the IronFX client portal. The broker does not advise about times for withdrawals to arrive. However, IronFx says that payment and funding authorization are 100% automatic. IronFX offers several platforms for PCs and Macs, tablets and mobile devices. Essentially, all of these offerings center around three platforms: MetaTrader4 (MT4), WebTrader4 and Personal Multi-Account Manager (PMAM). Since PMAM is designed for professional money managers, this review will focus on the first two offerings. The main page of the MT4 platform has the look and layout associated with other MT4 broker offerings. The MT4 platform is often regarded as the leading forex and CFD trading platform for retail customers. MT4 is ideal for technical traders because it offers dozens of technical charting tools and allows for customization. If there is a downside to the IronFX MT4 platform, it’s the fact that the live platform operates separately to the demo platform. Integrating these together would have been a nice touch. The WebTrader4 platform is a web-based application. Traders can access all different asset classes as well as news, charts and activity reports. Traders can open several types of demo accounts with IronFX. The different types of accounts seem superfluous and confusing, and each account operates as a stand-alone from the live platform. It would be better if these were integrated into the live trading platform. 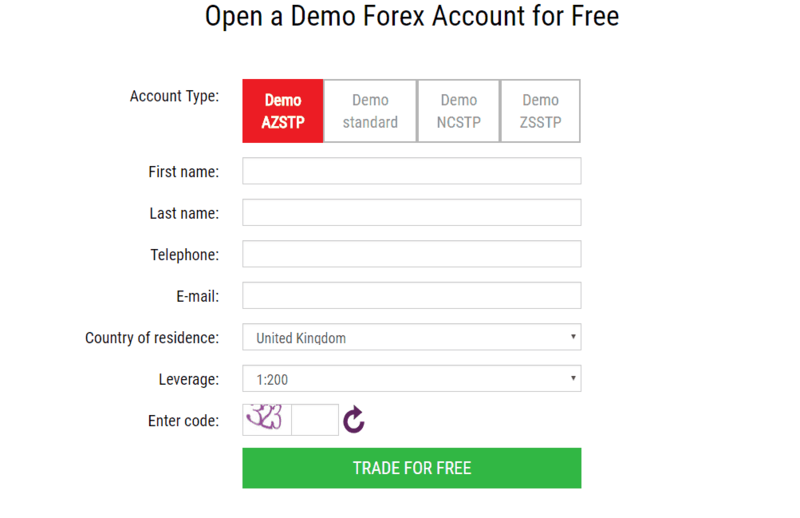 Nevertheless, the demo accounts look like the live accounts and traders get the same functionality. IronFX has an academy that offers events to customers including webinars, live seminars, a forex encyclopedia and educational videos. IronFX also attends expos and events on a regular basis in different cities around the world, which allows traders to interact directly with their representatives. Demo Trading Competition: Cash prizes of up to $30,000 for winners of this competition. VIP Account Promo: A promotion to upgrade to an account with special features. Free VPS Hosting: IronFX offers free VPS hosting to new and existing clients who deposit a minimum of $5,000 and maintain this balance for the following months. IronFX Card: A prepaid MasterCard denominated in USD or EUR. Lawrence Pines is a Princeton University graduate with more than 25 years of experience as an equity and foreign exchange options trader for multinational banks and proprietary trading groups. Mr. Pines has traded on the NYSE, CBOE and Pacific Stock Exchange. In 2011, Mr. Pines started his own consulting firm through which he advises law firms and investment professionals on issues related to trading, and derivatives. Lawrence has served as an expert witness in a number of high profile trials in US Federal and international courts. CFD Service. 80.6% lose money. © 2010-2018 Commodity.com LLC, 1013 Centre Road, Suite 403S, Wilmington, New Castle, Delaware, 19805. The data contained in this website isn't real-time or necessarily accurate, meaning prices are indicative and not appropriate for trading purposes. Your capital is at risk. This website is intended as a source of information only, not financial advice. Under no circumstances should you trade commodities, select a broker or perform any other task connected with commodity trading without taking professional advice first. Commodities can fall in value as well as rise in value: substantial losses can be made commodity commodity trading or trading with CFD services.